Watch Wolf Hall: England in the 1520s is a heartbeat from disaster. If the King dies without a male heir, the country could be destroyed by civil war. Henry VIII wants to annul his marriage of twenty years and marry Anne Boleyn. The Pope and most of Europe oppose him. Into this impasse steps Thomas Cromwell: a wholly original man, a charmer, and a bully, both idealist and opportunist, astute in reading people, and implacable in his ambition. But Henry is volatile: one day tender, one day murderous. 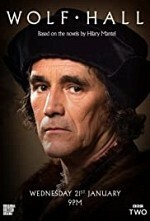 Cromwell helps him break the opposition, but what will be the price of his triumph?